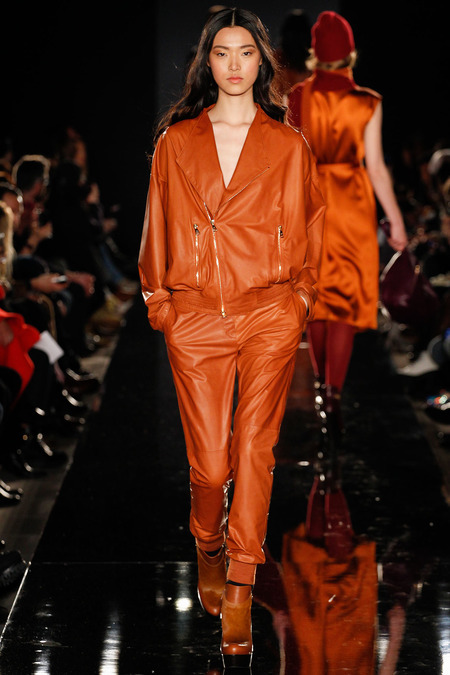 Autumn/Winter Colour Trends For 2014, Which One Is Your Favourite? For this year’s cooler season, colours are more muted and softer, with emphasis on elegance and femininity. 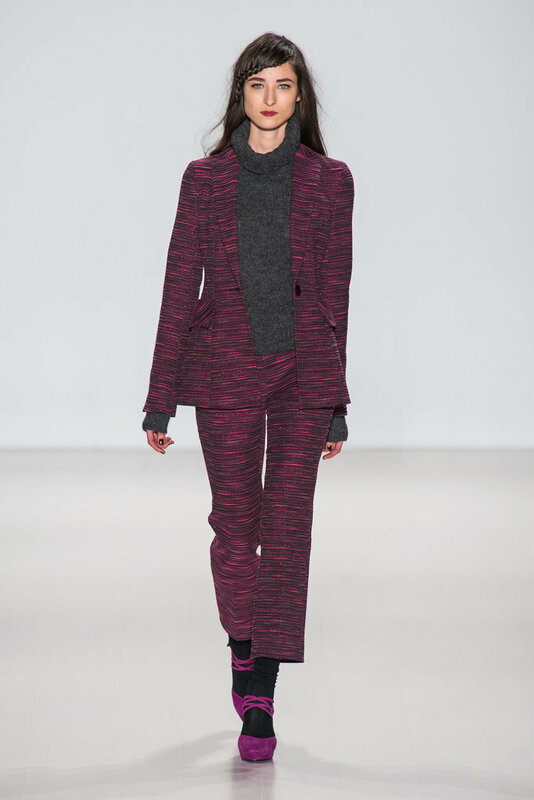 Winter doesn’t normally call for excitement though it is clearly shown on the runway for Autumn/ Winter 2014. There are no limits to what fashion can do! Colours are varied, vibrant and rich, leaving you bursting with excitement for you and your winter wardrobe. 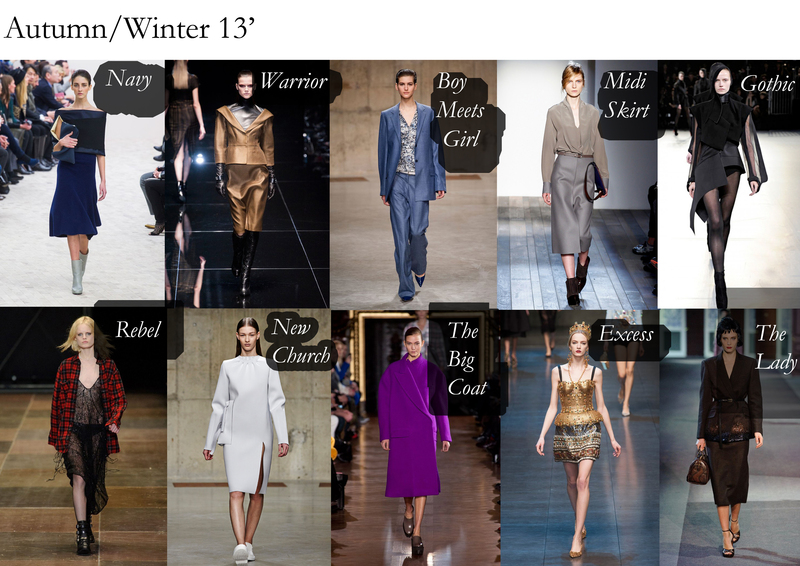 Below are the hottest colours for Autumn/Winter 2014, announced by Pantone University and what was seen on the runway. We suggest you take a look! Specialty: It’s golden undertone makes it a great transitional colour from Summer to Winter. Perfect for any occasion. Great with: Purple, blue, orange, yellow, white and other neutral shades. Designers: Carolina Herrera, Monique Lhuillier, Tibi, Prada, Oscar de la Renta and others. Specialty: Romantic and feminine.The lighter green brightens up the richer winter colours. Great with: Navy, black, brown, koi orange and all other neutral shades. Designers: Hervé Léger, Missoni, Rodarte, Costello Tagliapietra, and others. Specialty: The colour of moss and within the khaki family. Has depth, rich and is unexpected. Designers: Pamella Roland, Kenneth Cole, Rebecca Minkoff, Rochas, Gucci, Givenchy, Haider Ackermann, J. Mendel, Phillip Lim and others. Specialty: A colour inspired by the most beautiful island of Greece. A universally flattering colour that speaks for itself. Great with: Emerald green and turbulence gray, koi and refreshing pink. Designers: Chanel, Kelly Wearstler, Michael Kors, Calvin Klein, Felipe Oliveira Baptista, Stella McCartney, Balenciaga and others. Specialty: The “superfood” of colours. Being a mixture of blueberry purple and black, acai purple is exotic, mystic, radiant and magical. Great with: Emerald green, turbulence gray, blue, refreshing pink and red. 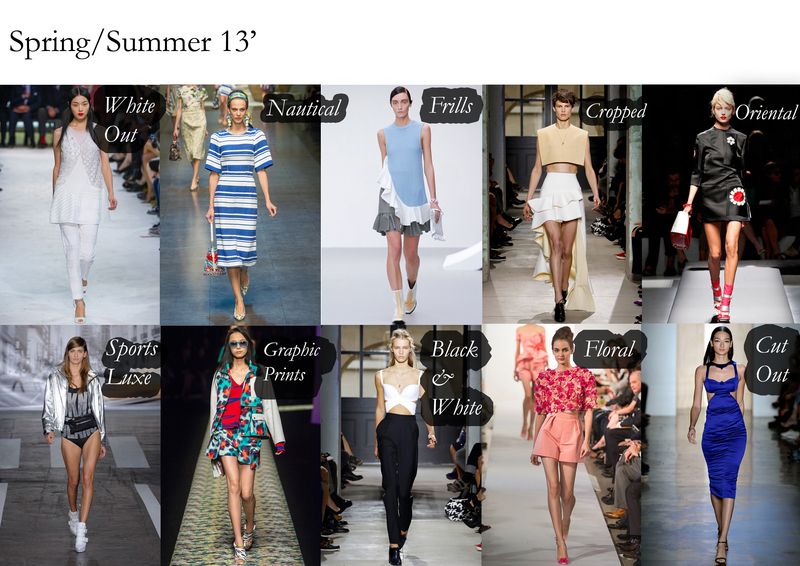 Designers: Nanette Lepore, Alberta Ferretti, Balmain, Stella McCartney, Band of Outsiders, Guy Laroche and Chapurin. Tip! Experiment with lighter shades of purple such as lilac using transparent materials for an ethereal look. Specialty: Vivacious, wild and sensual, deep fuchsia is the most vivid and feminine of colours and that is sure to grab instant attention. Great with: Koi, Charcoal, Gray, Brown, Tan, Cream and Navy. Try with Acai purple or Mykonos blue for a bold sartorial statement. Designers: Gucci, Tadashi Shoji, Marchesa, Diane Von Furstenberg, Balmain, Stella McCartney and others. Specialty: Dramatic, bold and extravagant, samba red is a heart stopper of a shade. Great with: Keep it minimal with white, grey and darker shades. 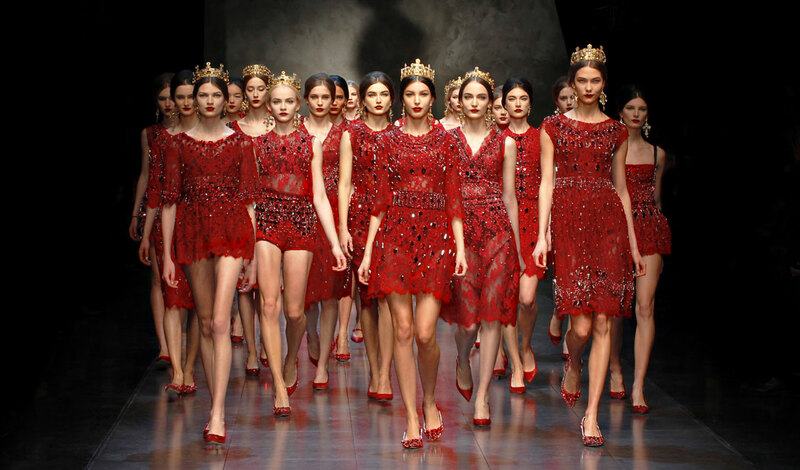 Designers: Valentino, Dolce & Gabbana, Burberry Prorsum, Diane Von Furstenberg, Nina Ricci, Anna Sui and Rachel Roi. Specialty: Not straying too far from samba red, another “hot” winter colour, koi orange is named after an ornamental fish known for it’s dazzling, shimmering features. Great with: Dark tones of green and blue, purple and gray, as well as lime green, coffee and turbulence grey. Designers: Bibhu Mohapatra, Tom Ford, Michael Kors and John Rocha and others. Specialty: Symbolising femininity, sophistication and elegance, carafe brown or coffee is another hot fall 2013 colour trend. It’s also an alternative of timeless black. Great with: Neutral, soothing colors, especially with pearl or milk. It also looks great with samba red, koi orange and vivacious fuchsia. Designers: Tia Cibani, Donna Karan, Hermès, Lanvin, Prada and Max Mara. 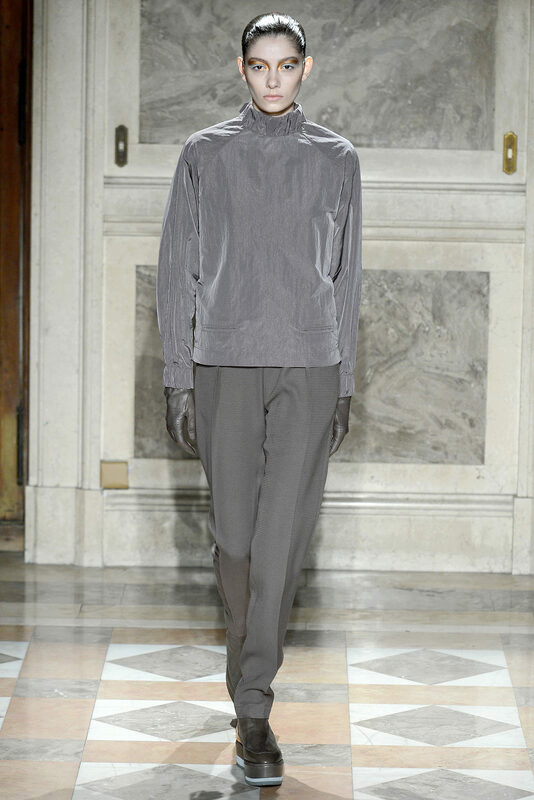 Specialty: Universally flattering and appropriate for any occasion , turbulence gray or dark mercurial gray is a big Autumn/ Winter 2014 colour trend. It’s elegant, versatile and less gloomy than black and symbolises the very nature of the winter season. Great with: Samba red, acai purple, koi orange, Mykonos blue, emerald green or vivacious fuchsia. Designers: Tia Cibani, Badgley Mischka, Alexis Mabille, Christian Dior and Max Mara. Specialty: Perfect for brightening up your cold season looks. 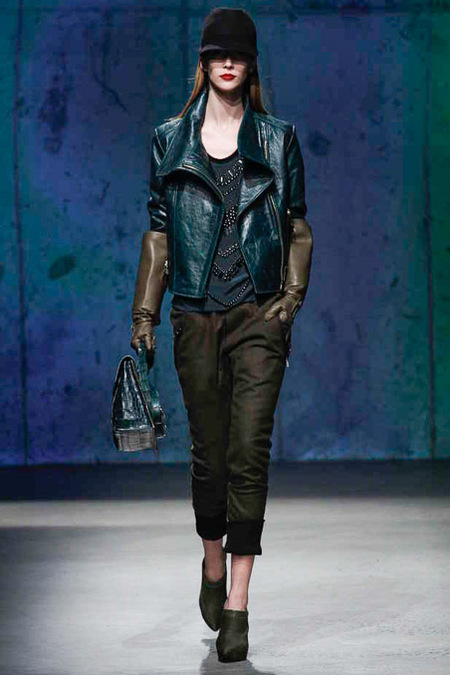 Designers: Versace, Bottega Veneta and Wes Gordon. Specialty: The timeless and stylish white color gets warmer and lighter in Winter 2014, being replaced by a milky white shade. Great with: Milk color is easy to wear, as it blends well with any other hue. Designers: Celine, Marc Jacobs, Valentino, Chapurin and Daria Bardeeva. 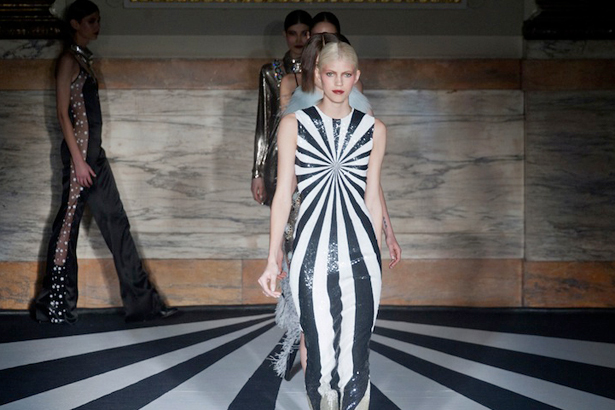 Specialty: The fashion scene could not live without the timeless black and white combination. This year black and white is just as hot as last years. Designers: Mathew Williamson, Christian Dior, Rodarte, Valentino, Altuzarra, Helmut Lang, Alberta Ferretti and Viktor & Rolf.